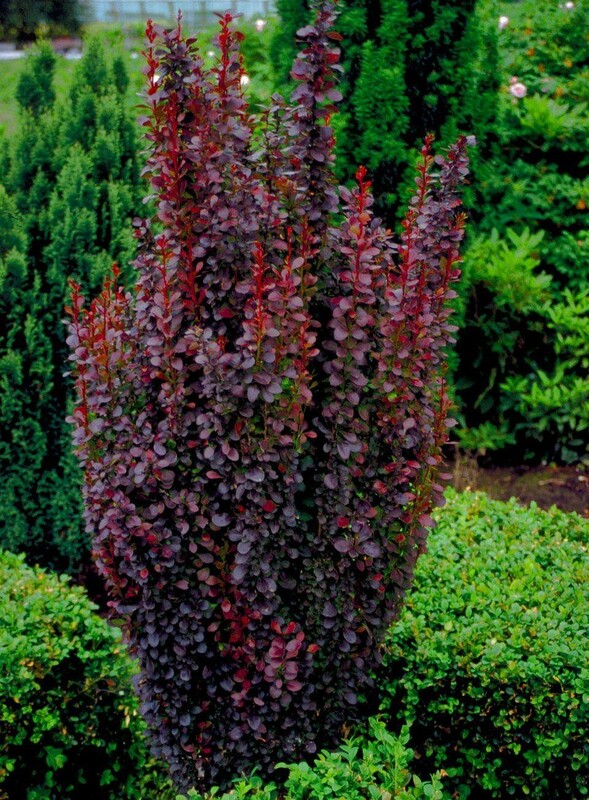 A dark burgundy purple, columnar Berberis this is perfect for adding something upright to the garden with its skyward looking growth. 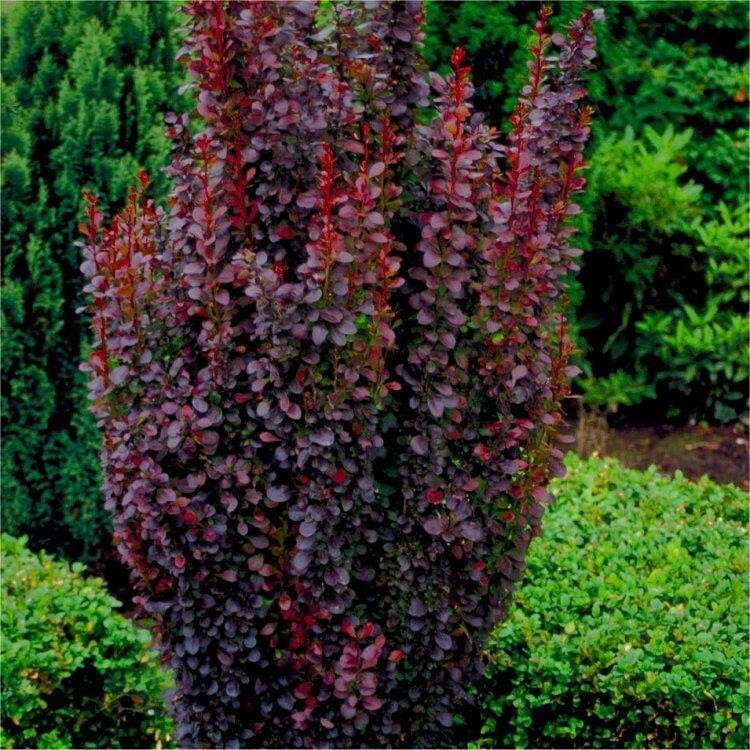 Easy to grow, the plant will provide plenty of interest through out the year, reaching a height of around six feet in five years, with a width of just one to two feet, creating a cylinder of purple foliage, with fiery autumn tints, and the added bonus of yellow blossoms in spring that are often followed by small red berries. The deciduous burgundy foliage turns a glowing rich red in Autumn. Perfect for a large container and attractive in pairs flanking an entrance or path, it also works well as a solitary specimen. Supplied in approx 2-3 litre containers.